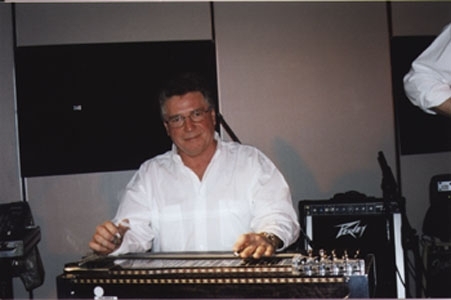 About Bob: Bobby Lucier has been a leader in steel guitar and is world renowned for his unique style and ability. Bob was the resident Steel Player for “The Tommy Hunter Show” when it aired on the CBC television network in Canada for many years. Gordie Tapp From ‘Hee Haw’ Writes Liner Notes For CD In 1952, when we started Main Street Jamboree, I became deeply engrossed in Country Music. I heard my first steel guitar in the hands of Bobby Wingrove and Lloyd Banks. It rapidly became my favorite instrument. In 1969 I arrived in Nashville to begin Hee Haw and thought I’d gone to steel guitar heaven. I worked with such famous names as Curly Chalker, Buddy Emmons, Lloyd Green, John Hughey etc… When I talked to them about their instruments and abilities they told me there was a guy up in Canada who had equal ability. I returned to Canada to guest on a well received Country TV show and met the young man they were talking about. 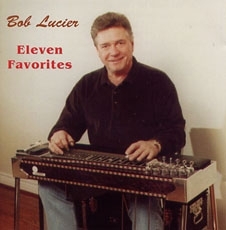 If you ask Bobby Lucier for a sixteen bar turnaround he makes it sound like a symphony but not at the expense of your vocal presentation and the audience leaves thinking how great you are because of the intricate steel guitar background he provides. He features four string harmony melodies with just a touch of two of his favorites, Jimmy Day and Weldon Myrick, but it’s his own interpretations that makes him unique. A master steel guitar technician. A master of Cabinetry (his real income). I’m glad he’s presenting this new C.D.. May I introduce to you Bobby Lucier.